People, Tradition and Color This exhibit focuses on the people of Mexico. 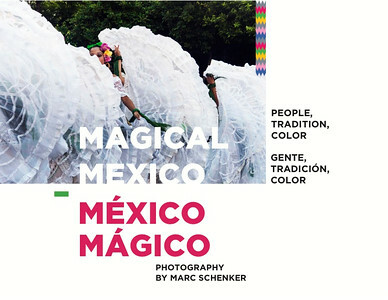 It includes photographs from 15 Mexican states. Themes covered in the photographs include music and dance, artisans and crafts. street life, markets, religion, politics, and work. The photographs capture the diversity, humanity, traditions, and beauty of Mexican life. in short, it shows the magic that is Mexico. This exhibit combines my interest in people and places around the world with my professional work on the health and safety of agricultural workers. The result is many images of agricultural workers around the world. At a distance the workers often appear to be in idyllic settings. Up close the reality of farm work is more apparent-young children doing hazardous work, sweaty labor in the tropical sun, dangerous machetes and other farm tools. 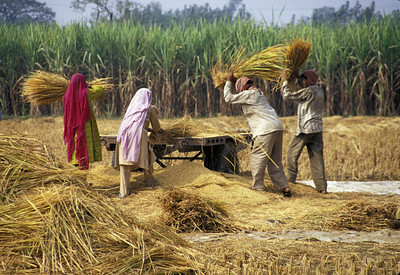 The commonalities of farm work are evident, as are the differences of farming in different locations around the world. The photographs represent farming in five continents of the world. These photographs represent some of the most beautiful places in the world. They generally focus on the natural landscape, but include some manmade wonders such as Machu Picchu. Some of the photographs are of well known "wonders of the world" such as Iguazu Falls, the Taj Majal, Zabriskie Point and Borobrodur in Indonesia. Others are of isolated but equally beautiful locations such as an isolated tree in Zimbabwe, a hut in Bali or an Alaskan glacier. Taken together, this is an album to savor the beauty and diversity of the planet. La Boca is the most colorful barrio in Buenos Aires. It is an industrial area bordered on one side by a polluted waterway that floods the community during heavy rains. Italian immigrants originally settled in La Boca before moving to more desirable parts of Buenos Aires. Today the area is a vibrant working-class neighborhood that has also become a home to artists and bohemians. Several of these photographs are of houses and people on Caminito, a brightly painted street that was formerly a railroad terminus. 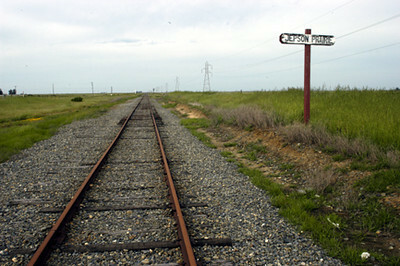 Caminito takes its name from a popular tango. The white "human statue," a common sight in Buenos Aires, welcomes tourists to Caminito. Other photographs show artists, a bandoleon player, and a gypsy. A symbol of community pride is the Boca Juniors soccer team, once the team of superstar Diego Maradona. One photograph shows the colorful team banner, and another shows kids practicing soccer on an open lot. "Bicycles and photography have always been a part of my life, these photographs reflects that passion." The photographs show bicycles in different settings around the world. What is remarkable is how universal the bicycle is in different countries and cultures. The same basic design is seen in front of Alaskan mountain peaks, French cafes, an Italian opera house, South African township ghetto and a shop in Bombay. It is truly a universal mode of transportation for the family of man. At the same time, the decoration, uses, and context for bicycles around the world is as varied as are the cultures in which they exist. I often take photographs of bicycles that are in a cultural context. Notice the shops, cafes, landscape or signage behind the bicycles and guess the city, state or country. India must be the most fascinating country in the world. It is a country of one billion people that defies easy description, eschews stereotypes, and never ceases to amaze. Superlatives are taxed in attempting to describe and absorb the country and its people. It is a country that covers all extremes—culturally, economically, esthetically, intellectually, and emotionally. It is a beautiful chorus and a cacophony for the senses—sights, sounds, smells. Experiencing these extremes, usually in close proximity to each other, emotionally rocks the visitor. But overall the result is a fascination that has no equal. Esthetically, and photographically, the result is a visual feast. 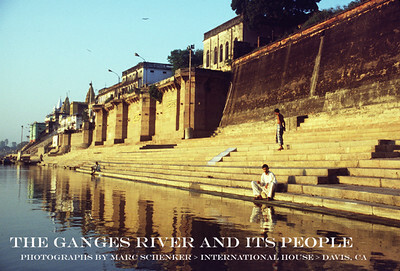 The photographs for this exhibit are from three holy cities on the Ganges River in India. Haridwar and Rishikesh are in northern India where the Ganges emerges from the Himalayas to begin its progress across the plains. The cities have many Ashrams and the Ganges is the site of prayers by travelers who come to have the river wash away their sins. Priests perform a river worship ceremony every evening, and every 12 years the Kumba Mela takes place in Haridwar, attracting millions of pilgrims. Varanasi is an ancient city on the banks of the Ganges in Uttar Pradesh state. Formerly called Benares, the city is over 2000 years old. It has been a center of Buddhist, Muslim and Hindu learning and civilization. Varanasi is famous for its ghats, which are the steps leading down to the river. The ghats are the site of prayers, of bathing by residents and pilgrims, and of everyday activities. All three of these cities are intimately tied to the Ganges River. People on the river reflect the enormous range of Indian people and life—maharajas, beautiful sari-clad women, Brahmin priests, men doing contortionists yoga exercises, kids playing in the water, beggars, sacred cows and other animals. These people, and their connection to the Ganges, are the subjects of this exhibit. 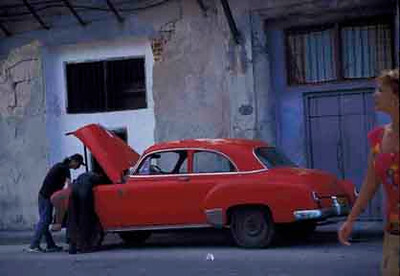 Cuba is without a doubt one of the most fascinating countries in the world, and it is a feast for photographers with an interest in people and cultures. It has been called a third world country with first world people, a statement with great insight. These photographs are from a three week trip to Cuba in 2002. Much of the time was on a bicycle ride in Pinar del Rio, which gave me the opportunity to meet Cubans in rural settings away from the tourist sites in Havana. Everywhere the people were wonderful. Despite the physical hardships they are a positive, joyful people who make the most of their situation. Joy, sadness, humor, creativity, energyand lots of irony are all to be found in abundance in Cuba. This exhibit focuses on the people, the real face of Cuba. 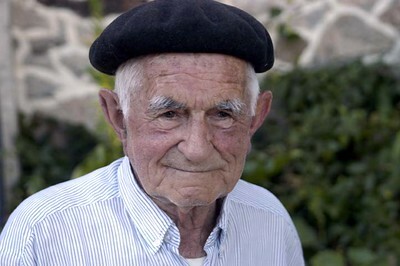 While political regimes will come and go, one has the strong sense that this face of Cuba will endure. Most of all, Cuba is one of the most fascinating places I have ever visited. Jepson Prarie and Capay Valley are two small treasures of the Central Valley. 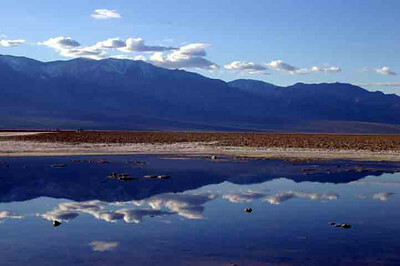 California's Central Valley is known to most visitors as the flat terrain between the coast and the Sierra Nevada that one drives across to get from one destination to the other. The aesthetic features of the valley are little known to the world. I am indebted to my ex-wife, Heath, for focusing my attention, and the art world's, on the artistic and cultural richness of this landscape. Her book, "Picturing California's Other Landscape: The Great Central Valley" is a unique and important insight into this "other landscape" of the Central Valley. These two exhibits focus on a couple of the small gems of the valley. The Route to Santiago dates to the beginning of the 9th century. Six routes traversed Europe ending at the cathedral in Santiago de Compostela in Northwest Spain. The most popular route is the "French route" which starts in the Ronces Valley of the Pyrenees and crosses northern Spain to end in Santiago de Compostela. These photographs are from a trek of the last 100 miles of that route, starting just west of Leon and ending in Santiago de Compostela. It is an exhibit of the exquisite beauty of the route through Galicia, the local culture, and the diverse pilgrims on the route-honest pilgrims, students, adventurers, b eggars and others. It is a fascinating collection of modern trekkers on an ancient road. The local culture and people are evident in the photographs.